The magnitude 0.402 penumbral lunar eclipse of 06 Aug 2009 UT is (at the time of this posting) a topic of recent and continuing discussion on the Solar Eclipse Mailing List (SEML) in regard to the anticipated (and post-facto assessed) degree of difficulty of both visually perceiving, and photographing, the moderately shallow lunar emmersion in the Earth's penumbra. Although this eclipse was not visible from my location in southern Arizona, I have read with interest the comments posted. 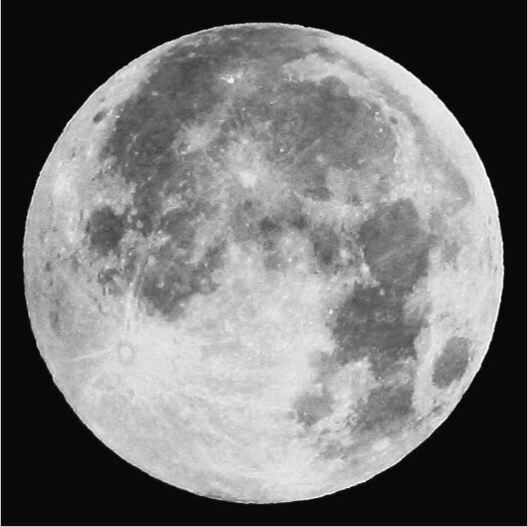 Visually, without a ready “differential” comparison, I am not sure at all the darkening at penumbral magnitude only 0.40 would have been visually apparent to me (I suspect not). Photographically, with a “side by side” (differential) in/out of shadow comparison (even with not all other things are completely equal in and out of eclipse; notably extinction, libration, exact phase angle, etc.) such as already commented upon detection is (easily) unambiguous. 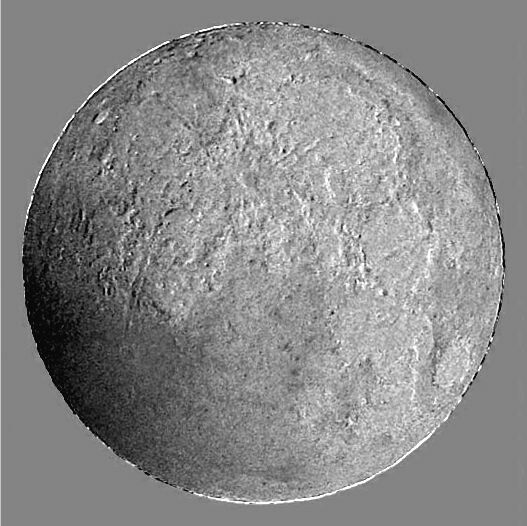 In a comparative set of photographs taken by Dimitry Rotstein on http://pics.livejournal.com/akaishi/pic/0004215f , the penumbral darkening in terms of image contrast in the southern region (around Tycho) is rather apparent (to me; though Dimitry comments "just bearly" with a "by eye" comparison). Taking the liberty of using the image pair Dimitry had made available (thanks for posting those images! ), this difference is quite apparent with a little image post-processing. I have done this, but just working with only the JPEG image Dimitry has provided. Even so, the "results" are unambiguous and straightforward. Procedurally, Dimity indicates “slaving over Photoshop to get both frames in sync (more or less)” – but I have done this in a bit more numerically quantitative manner in IDL. Here is the scoop (and then the results). Dimitry’s images as presented on his web page above are both rotated with respect to each other and also of slight different image scale. 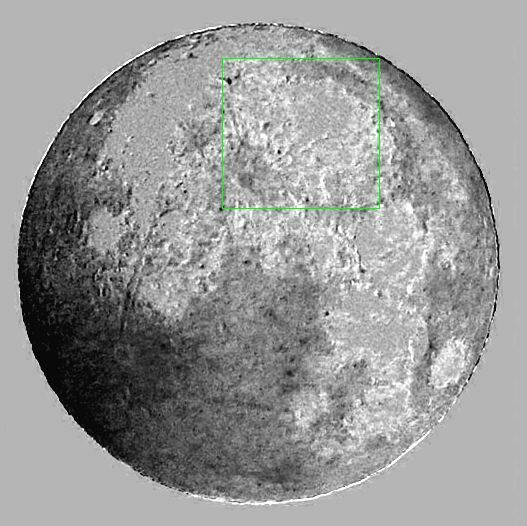 To determine what the difference in rotation scale (and to also "translate" the images so as to astrometrically co-align and register), I cross-correlated the two images (separately in the three color planes) using both the limb and high-contrast small angular scale lunar features. These do not produce a perfect cross-correlation due to changes in illumination shadowing. etc. in the appx 1h 11m minutes between Dimitry's two exposures. DETAIL: A best cross-correlation fit, combining the three color solutions informs that the 01:49 UT image is rotated by appx 2.80 deg CCW w.r.t. the 00:38 UT image (and also as presented offset by -584.1, -0.5 image pixels). Additionally, the two images are not exactly at the same image scale. 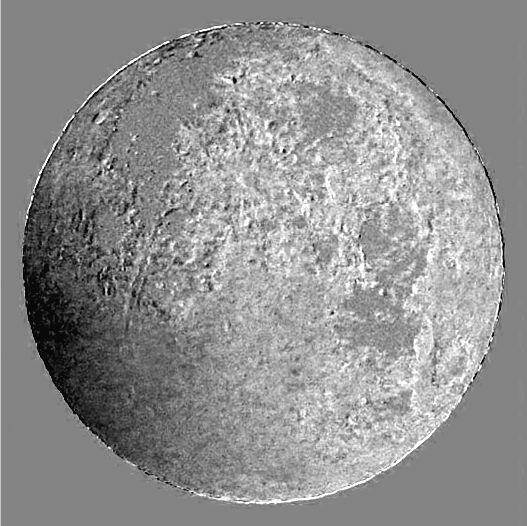 That could be due to a combination of atmospheric refraction effects, a change in the EFL of the imaging optics (maybe with ambient temperature), and change of topocentric distance to the Moon. In any event, a simultaneous best-fit the image scale of the in-eclipse image is 0.997x of the out of eclipse image. With that, the two images were geometrically rectified (in scale, orientation, and alignment) before subtraction using the cross-correlation determinations as a starting point for least-squares minimization of image subtraction residuals (treating those parameters mentioned as free), with chi-square convergence re-sampling the out-of-eclipse image onto a same-size pixel grid (with image scale compensation) via bi-cubic sync-function apodized interpolative rebinning. END DETAIL. The post-processed images below originate from the two color pictures taken by Dimitry Rotstein. Top Row: In eclipse at 00:38 UT - Red, Green, Blue all at the same linear image display stretch (8 bit, 0-255 uncalibrated intensity units [DN == "data numbers"]). 3rd Row: Straight (R, G, B) difference images harder stretched (also linear) from -50 to +50 DN. 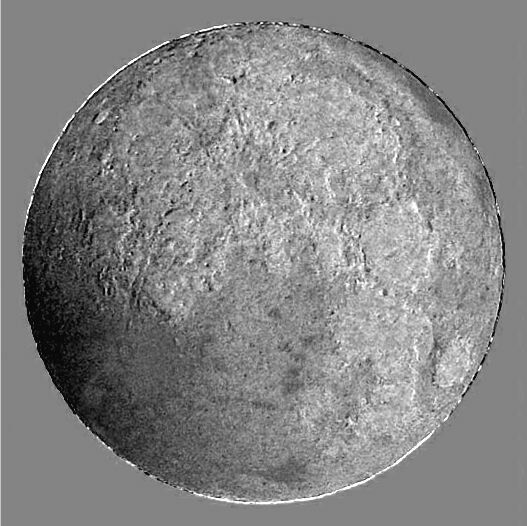 The penumbra is readily apparent, but as Dimitry commented, there was a significant change in brightness due to atmospheric extinction between the two sets of images, so a better (simple, first order) empirical calibration can be done before subtraction to better re-normalize the intrinsic brightness of the lunar regions in common out of the penumbral shadow. 4th Row: R, G, B difference images, but intensity re-normalized so the median surface brightness in the region shown in the green box (out of the penumbra at both 00:38 and 01:49 UT) is zero after subtraction. All three images are stretched from -70 to +50 DN (different than in 3rd row, due to renormaization) covering the full dynamic range in all three difference images. 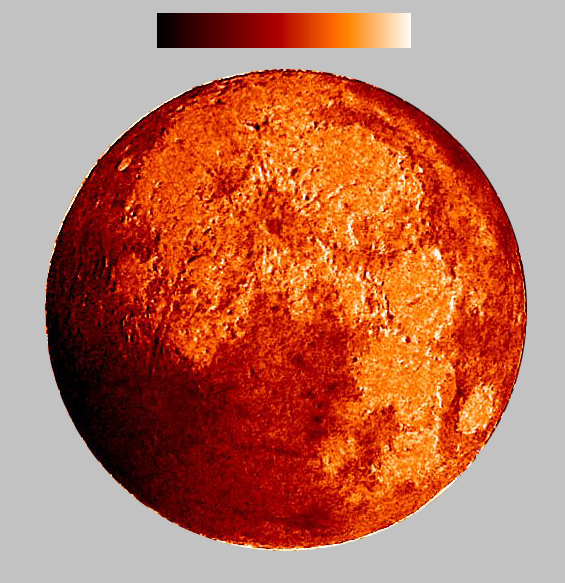 The difference image below is a R, G, B, panchromatic linear recombination of the three images shown in row 4 (color separated, re-normalized differences) of the mosiac above -but shown with a black-to-white "red" linear intensity scale color mapping (basically a gray scale panchromatic [not color] image shown with a monochromatic color display). The presence of the penumbra is quite unmistakable. So... a magnitude 0.4 penumbral lunar eclipse is hardly a challenge (but may be to the unaided eye). It would be interesting to see how small a magnitude penumbral LE could be detected with confidence photographically (or photometrically). Return to Glenn Schneider's home page.